The intention is to provide interested individuals and organisations with practical guidelines for the use and application of open content licences: How do open content licences work? How do I choose the most suitable licence for my individual needs? Copyright is meant to do something to accomplish socially desirable ends. One of those ends is to create a space that allows us to build upon a universe of expression that came before. How can I tell if something is in the public domain? The authors argue that the Public Domain - that is, the informational works owned by all of us, be that literature, music, the output of scientific research, educational material or public sector information - is fundamental to a healthy society. 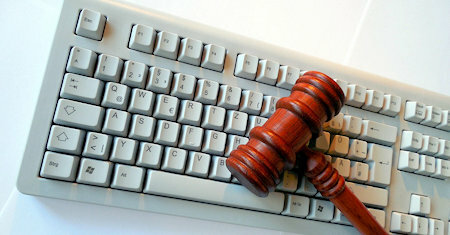 This book reviews many of the legal challenges created by the new technologies. Topics include jurisdiction; privacy; copyright and trademark law; trade secrets and patents; free speech, defamation, and obscenity; and cybercrime. This text presents the key legal issues with regard to Language Resources re-use, particularly in Machine Translation and Machine Processing, and the permitted acts and key policy suggestions as to amendments in the relevant bodies of legislation. This book has broad coverage of both copyrights and patents and is designed for a general audience, focusing on simple examples. The authors conclude that the policy to follow is to eliminate the patents and copyright systems as they currently exist. This book by Prof. Edward Lee provides a gripping, behind-the-scenes look at how people organized the largest Internet protest in history, plus the largest single-day demonstration on the streets of 27 countries of the European Union. Exploring the rise and political significance of the free and open source software movement in the US and Europe, the book details the political struggles through which hackers question the scope and direction of copyright and patent law. Lessig describes how managing copyright will have an impact upon every individual in the future. As we develop and share digitial content how we protect copyright will determine if the Internet will improve information for the global citizen. This book -- a follow-up to Band and Katoh's successful 1995 book Interfaces on Trial -- examines the debates surrounding the use of copyright law to prevent competition and interoperability in the global software industry in the last fifteen years. The first full-length study of digital identity in a transactional context, from a legal perspective. Clare Sullivan's analysis reveals a distinct, new legal concept of identity. This concept is particularly clear under a national identity scheme. This primer aims to help developing nations define and determine their requirements for shaping appropriate e-commerce legislation, as well as corresponding regulatory and institutional frameworks that balance many complex issues. Fundamental information for those who want to understand Free Software and how to contribute and benefit from it. Concepts like existing legal systems of software protection - copyright, patents, trademark, Copyleft and free licenses are covered. Essays on ethics, law, and computer software, written by Richard M. Stallman. The book includes The GNU Manifesto and new texts on copyright, patent law, and trusted computing. Stallman takes a critical look at common abuses of copyright law.